The end of summer does not have to mean the end of your vegetable garden. There are several vegetables that actually grow better in the fall. There are fewer problems with insects, plenty of rain and little worry that your plants will bolt to seed. You'll enjoy the cool air as much as your plants. If you've been succession planting all summer, you may have your fall garden already growing. But if your vegetable plants are looking a bit worse for the wear, some cleaning up and prepping is in order. Take a stroll through the following articles and plan to be harvesting vegetables for the holiday table. The abundance of a summer vegetable garden can turn to chaos in the fall. Cucumbers that didn't get picked, lettuce that bolted, fallen tomatoes - all of these things can make it hard to find a spot to plant something new for the fall. Even if you've stayed on top of things, your soil has probably taken a beating and fall is a great time to add in some compost. If you're thinking of planting a fall vegetable garden, it only takes a little time and effort to get your garden in shape to start over. You'll have to do it eventually, you might as well derive some benefit from the effort. Not all vegetables like the crisp chill of fall. Tomatoes and peppers are just about done for the season, but there are plenty of other choices; vegetables that have their flavor enhanced by cool temperatures. 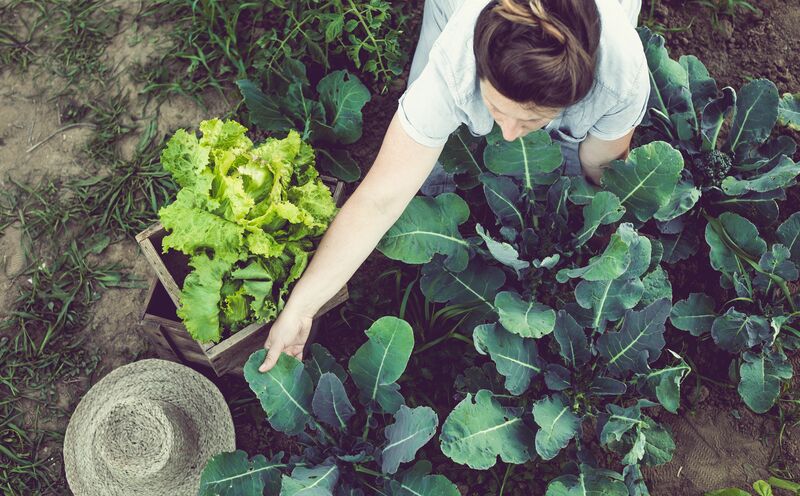 Some, like the cole crops (broccoli, cabbage, cauliflower, kale...), grow best in cool weather, but they need to be started earlier and transplanted into the fall. There are also several vegetables you can direct sow into a fall garden, like broccoli raab, chard, lettuce, peas and spinach. Here's a list of choices to fill your garden and your table. Gardens in warm areas (Zones 8 and up) hit their stride when northern gardens start winding down. You've had to listen to garden chatter all summer, while the sun backed down on your soil. 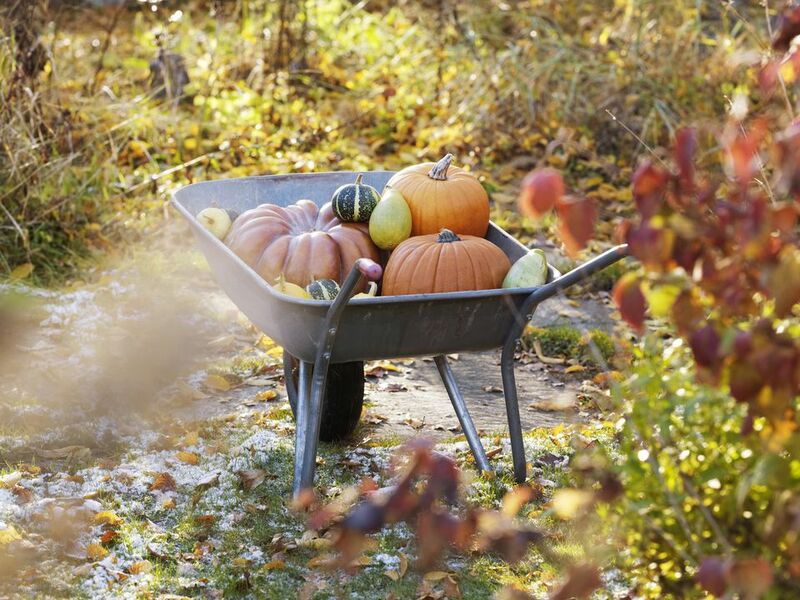 Fall is your optimal gardening season and it can stretch all the way into spring. Your cool season is still a few months away, but give some thought to succession planting and filling in the gaps, as the tender crops fade. The lists collected here are planting dates and schedules provided by Cooperative Extensions from various states. Get your seeds and seedlings ready to go. If you've had enough of gardening for one year (is that possible) you might still want to seed a cover crop or green manure. These ground covers will add nutrients to the soil, prevent erosion and the spread of weeds and, when they are turned under in the spring, become instant compost. Some will cover your garden in as little as 30 days. Or you might want to amend your soil the effortless way. Dump a layer of compost and let winter's freeze and thaw work it into the soil for you. Even when the temperature dips below freezing, you can still be planting seeds. After all, many plants seed themselves over winter. Winter sowing is a technique attributed to Trudi Davidoff, a clever gardener who had more seeds than she had space for inside. It doesn't work for every vegetable, but it's a brilliant idea for vegetables (and flowers) that need a chilling period.